Popular culture images of LGBT people suggest that most LGBT people live in cities or on the coasts. Yet an estimated three million or more LGBT people call rural America home. The Movement Advancement Project released a new report, Where We Call Home: LGBT People in Rural America, which examines the structural differences in rural life and their unique impact on LGBT people in rural areas, who are both more vulnerable to discrimination and less able to respond to its harmful effects. Among other challenges, rural LGBT people are less likely to have explicit nondiscrimination protections, are more likely to live in areas with religious exemption laws that may allow service providers to discriminate, and have fewer alternatives when facing discrimination, as detailed in a new report released today. Although LGBT people in rural areas face many of the same challenges as their neighbors, they experience different consequences, and the many structural challenges of living in rural communities can often amplify LGBT people’s experiences of both acceptance and rejection. 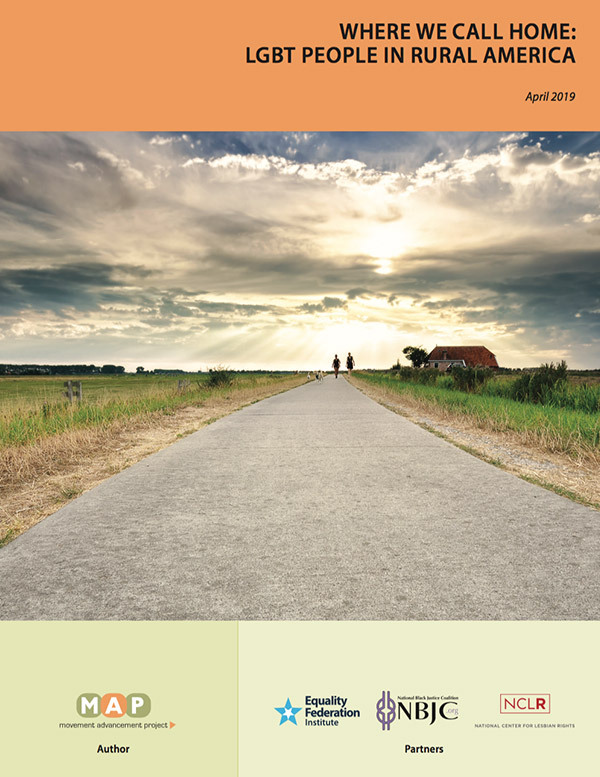 The report has three key sections, examining how many LGBT people live in rural areas and why they live there; the experiences of LGBT people living in rural communities; and the social and political landscape in rural America. The report also offers a robust set of recommendations for improving the lives of all rural residents, including LGBT people.